We interviewed Dr. Terri Hubbard DMD, of Coastal Pediatric Dentistry, a pediatric dental clinic in South Carolina, about how she uses BEAM interactive games in her clinic’s operations. BEAM: Can you tell a bit about the clinic? Terri, Coastal Pediatric Dentistry: Coastal Pediatric Dentistry have been open since 2007. We’re strictly a pediatric dental provider. We currently have two offices, with a third office opening in less than a month. We originally came in with the idea that we wanted Coastal Pediatric Dentistry to be a place for kids to have fun, where they’d actually want to go to the dentist. Our initial Coastal Pediatric Dentistry office in Hilton Head was just too small. At the time we didn’t know about BEAM and we didn’t get it. A few years later, we opened up our second office in Bluffton. I saw BEAM interactive games in some literature, and we now had the space. So we put it into our office. We didn’t realize how big of a hit it was going to be, especially with the smaller children. The 2-6 age group, that’s all they want to do. And we have a theater as well, but the BEAM just draws them in. What we saw, when our system went down, was that the parents were just angry that it was not working. They were complaining. People would come early for their appointments, just so that the kids could play. They absolutely love it. The kids, if they’re not watching a movie, they’re on BEAM. It keeps them preoccupied, and there’s nothing to break. Now that we’re opening our new office, we pulled the theater out of our old Coastal Pediatric Dentistry office in Hilton Head and replaced it with BEAM interactive games. And we’re obviously putting one into the new office as well. 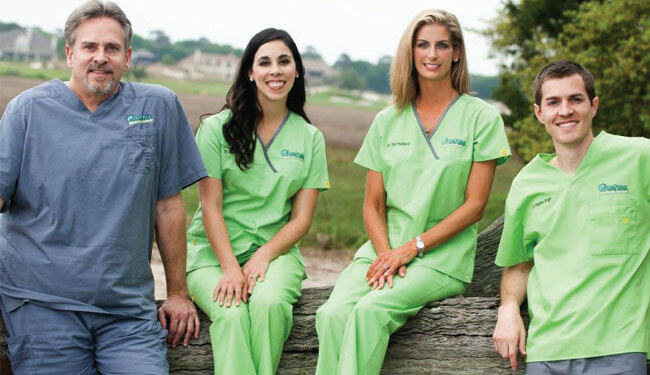 There’s no other dental office in the area that has one, and we have three, so we’re proud of that. It’s definitely a draw. We love it. BEAM: What games are you seeing that are hits? Terri, Coastal Pediatric Dentistry: The soccer game. The mice coming out of the cheese. The bubbles. The kids love movement, where they’re trying to solve something and their focus is not self-directed. It’s pretty amazing. BEAM: From the business perspective, what’s the benefit, for a dentist? Terri, Coastal Pediatric Dentistry: It’s an additional draw to the office. Most people our age didn’t like going to the dentist when they were kids. There was this feeling of “I’m going to the dentist, it’s gonna be horrible.” We wanted to change that and make it fun to go to the dentist. BEAM interactive games are just one of the items that we chose to bring out that fun aspect, and we’re happy that it’s been a huge hit. Like I said, parents bring kids early to appointments just so they can play, and then after they get done with the appointment, they want to stay and play. We’ve had a couple of people actually come in an hour early just to play. Terri, Coastal Pediatric Dentistry: The support staff is really helpful. Any time we’ve needed something, they’ve always been there to help us out. I’ve got their cell phone numbers. That’s been nice. I can get somebody on the phone just about every time I call, and if not, I can get a call within an hour. And that’s nice, because if it’s down, I’ve got to get it fixed right away. It is that integral to our waiting room. It’s good enough that we’re gonna order two more for our other offices. Great system.